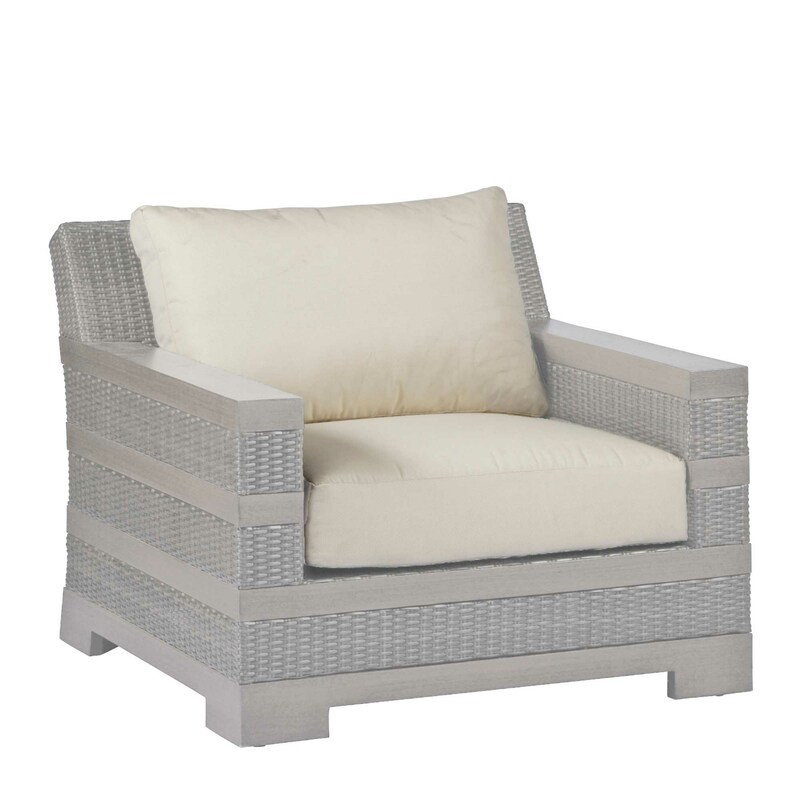 Summer Classics, a manufacturer of premier outdoor furniture, is the 2013 winner of the ICFA Design Excellence Award in the Lounge Seating with Cushion category for its Sierra Lounge Chair. 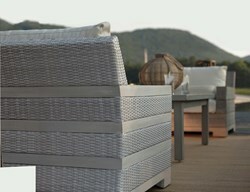 Summer Classics also won this award in the 2012 Wrought Iron/Wrought Aluminum category for the Verano Arm Chair. 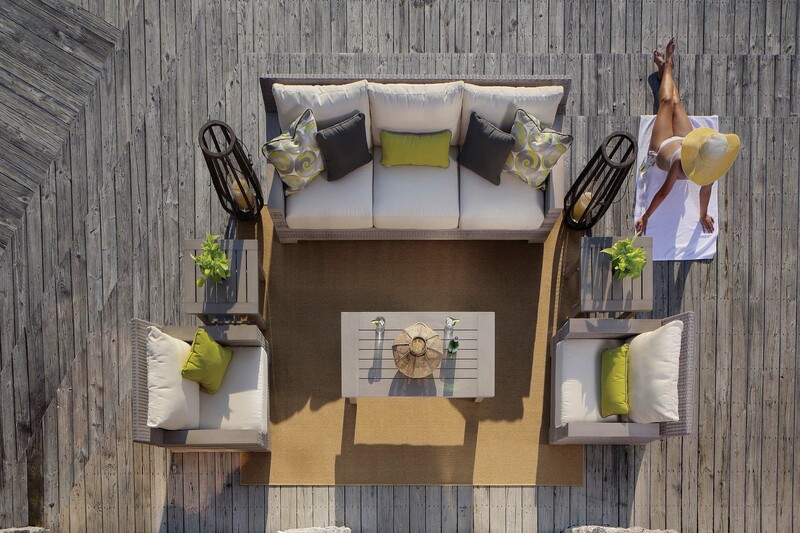 Summer Classics, an Alabama-based company that manufactures premier outdoor furniture, has been announced as a winner of the International Casual Furnishings Association (ICFA) 2013 Design Excellence Awards. At the upcoming ICFA Awards Gala at the Field Museum in Chicago on Thursday, September 19th, Summer Classics and other award winners will be honored. Summer Classics received the award in the Lounge Seating with Cushion category, with its Sierra Lounge Chair. Inspired by the sedimentary lines of the South West deserts, the Sierra collection’s wide stance and mid century modern design sets a plateau for bold and beautiful outdoor furniture design. Sierra’s design stacks wide layers of ultra-UV resistant, 7mm woven, N-dura resin and Resysta, an environmentally friendly material made of rice hulls, oil and salt, and has a 5 year warranty for use near the Ocean. Upon receiving notice of the award, Summer Classics President and CEO Bew White stated, “I am honored to accept the Design Excellence Award for the second year in a row on behalf of Summer Classics.” Summer Classics also won the ICFA Design Excellence Award for Wrought Iron/Wrought Aluminum in 2012 with the Verano Arm Chair. One of its many outdoor furniture products, the winning Sierra Lounge Chair will be shown at the International Casual Furniture and Accessories Market in Chicago. For the first time this year, the ICFA opened its annual Design Excellence Awards to companies that are not members of the ICFA. However, all competitors (except those in the fabric category) are required to be exhibitors at the International Casual Furniture and Accessories Market, which will take place in Chicago from September 17th to 20th. There were eleven categories in the Design Excellence Awards, and one winner will also be announced as the Lillian B. Winchester “Best of Show” Award winner during the ICFA Awards Gala. This year, the judging for the ICFA Design Excellence Awards took place in Chicago on September 5th. The judges for the ICFA awards included Laura Barnett Sawchyn, Cindy Dampier, Bruce Erickson, Afiya Kumar, Jessica Salisbury, and Kristine Schultz-Hutchinson, all of whom are prominent individuals in the furniture design world. All Design Excellence Awards will be presented formally on September 17th, the first day of the International Casual Furniture and Accessories Market. Summer Classics and other winners will receive their award in their company showroom at the Market. Along with the honor of the ICFA Design Excellence Award, the eleven winners of this award will be featured in a special issue of Casual Living, which will only be available on-site at the International Casual Furniture and Accessories Market in Chicago. These designs will also earn a spot in the October 2013 issue of Casual Living, which you can find at the High Point Market in October of this year. Summer Classics, based in Alabama, is a family-owned company and a member of the ICFA. They have now won an ICFA Design Excellence Award for two years in a row.